Carpet Cleaning service in London. Professional Carpet Cleaners. Our South East London Professional Carpet Cleaning Service is designed to meet all of your needs and achieve the best possible results. Our carefully trained carpet cleaning London team have the knowledge and expertise to provide you with a high quality carpet cleaning service across South East London and East London. Let the carpet cleaning experts of Splendclean help you keep carpets clean and fresh, giving your home more cleanness and comfort for you and your family. Keeping your carpet clean is one of the most important things in order to maintain a healthy environment at your home. The right way of maintenance will extend the life of your carpet and save you money from future investments. It requires more intensive cleaning than the one which regular maintenance provides. In the heavy traffic areas dirt and dust accumulate and are then easily spread to other areas. Depending on the amount of traffic and dirt, this periodic carpet cleaning can be more or less intensive. Usually, most carpet manufactures recommend a professional carpet cleaning service at least two times per year. 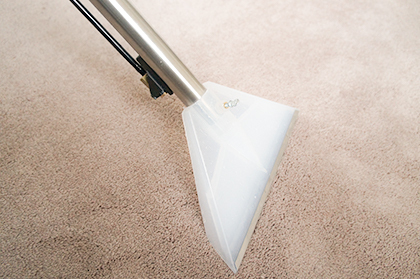 Our professional cleaning company uses the most effective method of carpet cleaning - hot water extraction. This method is based on injection of water and cleaning agents into the carpet which remove any dust and dirt by a build up in vacuum system. Splendclean carpet cleaners will inspect your carpet, analyse the nature of fabric, identify potential permanent stains and give you proper assessment of expected results. How much time does it take for the carpet to dry? There are a number of factors which can influence the drying time after a carpet cleaning -type of fibres, weather conditions and air in the room. In most cases, drying time of the carpet is about 4-5 hours. In cold and wet weather conditions this time may be extended. It is recommended that the rooms after the carpet cleaning have good ventilation (open windows and doors) and if the weather is cold, you can turn on the house heating. You can easy book for our Carpet Cleaning Service in South East and East London using our online booking form or calling on 020 3507 0085. Looking for professional upholstery cleaners in South East London to clean your sofa, chair or other furniture? Take a look at our Upholstery Cleaning Service.